Being in touch with other teachers who assign writing can provide the community you crave. Want to hear what others are doing in their classes? Need a different perspective on an assignment or teaching topic? 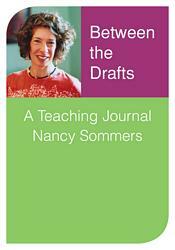 You can subscribe to Between the Drafts, an online teaching journal and blog facilitated by composition scholar, master teacher, and handbook author Nancy Sommers.